Use a smartphone? You can also download the AVDC Bin app - Please go to your android or apple app store and search 'AVDC Bins'. The 2019 garden waste collection service is now live. 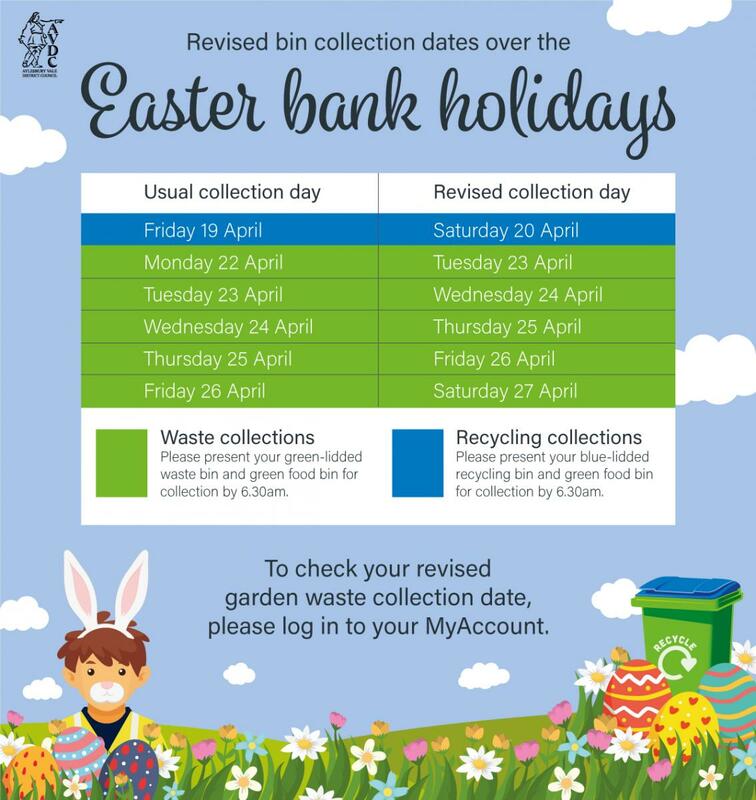 For your collection dates please log into your MyAccount, select My Services and click on ‘Find your bin day’. If you need help moving your bins we can offer you an assisted collection. Find out more and arrange for a collection here.